The series applies to both Find Selected Plate and Find Selected Volume/Page . Plate numbers range from 1-99999. Volume numbers range from 1-99 with an optional suffix b for bound volumes and required suffix u for unbound volumes. Page Numbers range from 1-9999. For example, 15u/125 means page 125 of unbound volume 15 and /210 means page 210 of the current volume. 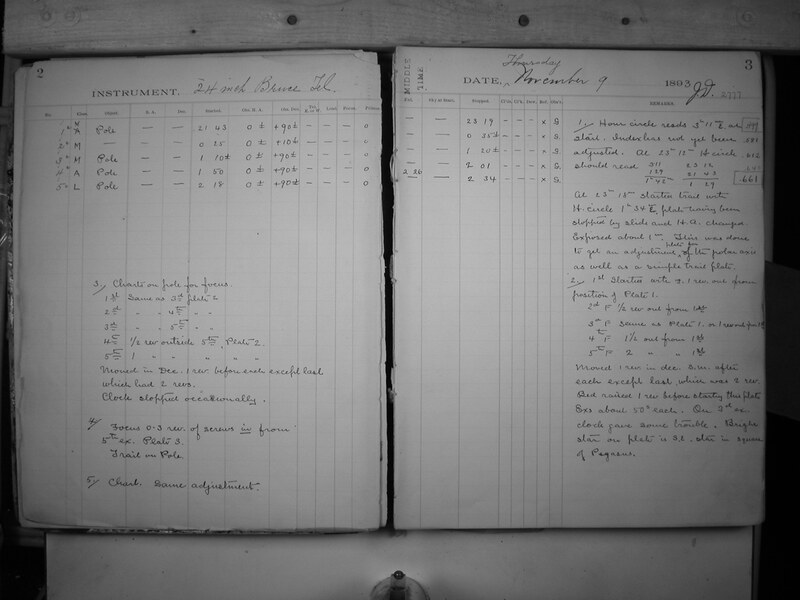 Henrietta Leavitt's notebooks appear under the series hsl and Annie Jump Cannon's notebooks appear under the series ajc . These notebooks can be located by volume/page number, not by plate number.